Doctors office or college lecture, the X100 will be your personal note taker. EASILY TRANSFER FILES TO MAC OR PC - Just connect the recorder to your computer using the supplied USB cable and drag the files over to your PC. Voice Recorder. Battery Operated - ( Batteries not included). Instruction Manual. 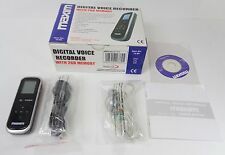 This is an Olympus WS-300M Digital Voice Recorder. 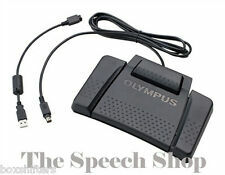 USB Direct design plugs directly into PC USB port; 4 recording modes (HQ, LP, SP, and HQ Stereo). DSS / DSS-Pro (Digital Speech Standard) recording formats. Ergonomic design with large graphical display. 4-position slide switch for single-handed operation. If you think switching to digital transcription is too expensive, think again. Use the pen for repeating directions while on your cell phone. This pen will work perfectly. This audio recorder pen will work perfectly. If you do not receive our reply within 48 hours, pls. If you are satisfied with our service, pls. Opened to check contents but never used. descriptionMaterial: copperColor: Black & GoldSize: 14cm*0.9cmPower supply: rechargeable lithium batteryMemory capacity: 8GBFunction: Voice Recorder MP3 Ballpoint PenSound quality: 512KbpsRecording format: WAVContinuous recording time: more than 12 hours (using full battery)Signal to noise ratio: 90dbWorking temperature: -5 degrees -60 degreesPackage Contents:1* recording pen1*wire headset1*USB cable3* Refill1* instructions1.It is a pen type voice recorder with a pen type IC recorder. I usually use it as a ballpoint pen,When it comes to emergency, it changes to a recording machine quickly. You can casually record the story of your opponent, such as an important story.2.Recording can be done by firmly recording the contents of lectures and lessons just by. OLYMPUS DS-30 DIGITAL DICTAPHONE VOICE RECORDER BOXED WITH ACCESSORIES. Tested and working. Sold with everything as per the pictures. Has had minimal use. Through the upgraded user interface, easily search for your recordings and music files to play and monitor the recording levels. Condition is New. Up to 4 GB of built-in storage, expandable via microSD (SDHC/SDXC) cards. High-quality microphone for utmost speech clarity. AutoAdjust analyses the audio signal and chooses the perfect settings for the recording situation. The result is crystal clear recordings. Their higher recording sensitivity captures more signal without compromising on sound quality. You also use it as a U disk. 1 x USB Cable. Music format: MP3/WMA/WAV. Product weight: 98g. Units are in used condition. Power cord and charging base included.USB cables not included. Model LFH9370. Size Handheld. Connectivity USB. Custom Bundle Yes. MPN LFH912000. Features Docking Station. It can also be used as a MP3 player. 1 Voice Recorder. Microphone: Non-directional capacitance MIC. Can play MP3, WMA and other lossless music files, with high-definition sound quality. Display: 96 64 / LCD screen. 1 x 8GB Digital Voice Recorder. You can choose to delete a single file or all files. -USB Drive / Disk. -Recording indication. -MP3 music playing function. -Battery low power indication. ［With a built-in speaker, you also can enjoy music or recorded voice without a 3.5mm-jack earphones］. Music Format: MP3 / WMA / WAV/ APE/ FLAC. Function: Recorder & MP3 Player. 8GB super large flash disk capacity, support up to 10h recording, 300mAh built-in battery support up to 10h recording. 1 Recorder. High-quality MP3 recording. WE WILL BE HAPPY TO WORK OUT ANY PROBLEMS/ISSUES RELATING TO YOUR ORDER. 4 GB of onboard storage. Large colour display for easy and intuitive operation. MP3 recording for clear playback and easy file sharing. Exceptional transcription accuracy rate of up to 99 %. piece that Suit HIFI Collector Enthusiast Executive or Gift. Dss file format produces excellent sound quality. Supports the compact. dss file format, the industry standard for digital recording. Completed files can be quickly transferred to a PC via a USB cable for storage or professional transcription. No software needed and recording format is. It Has So Many Uses! Built-In High-Speed USB Connector. You Can Even Use It As A Quick Way To Transfer Files Via The USB From Your Dictaphone To Your Computer Or To Share Files With Teammates. THIS 8GB FLASH DRIVE- Is A Digital Voice Recorder. The Voice Tracer 1150 is the perfect voice recorder for capturing notes, ideas and thoughts on the go. PC connection for plug & play. When enabled, recording will start automatically when you start speaking. The battery lasts for 8 hours in constant record or playback mode. Simple single switch function turns on/off and starts recorder or playback when headphones are inserted. Ultra mini recorder UMVR1. This is aSony ICD-SX46 Digital Voice Recorder. I have not been able to get this to work with Windows 7/8/10. 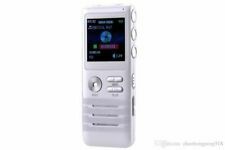 Sony ICD-SX46 Digital Voice Recorder. Software and manual not included (but can be downloaded from Sony web site). 2 in 1: can be used as a USB disk and a voice recorder. Note:Light shooting and different displays may cause the color of the item in the picture a little different from the real thing. TESLA STATION UK. Without any other accessories and manual(available online). 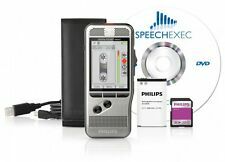 Digital recording allows instant access to any point in the dictation and enables you to make precise deletions from sound files and to correctly place insertions. The 9300 is a battery-powered, handheld, PC-compatible digital pocket recorder that has an operational feel designed to be familiar to traditional analogue users. Prioritise highly important files. Check out how ODMS R7 enhances your wireless dictation workflow. including ODMS R7 Software. ODMS R7 Software. Together with support of audio codecs like PCM and MP3 it is simple to get dictations sent to any dictation workflow software or speech recognition software.